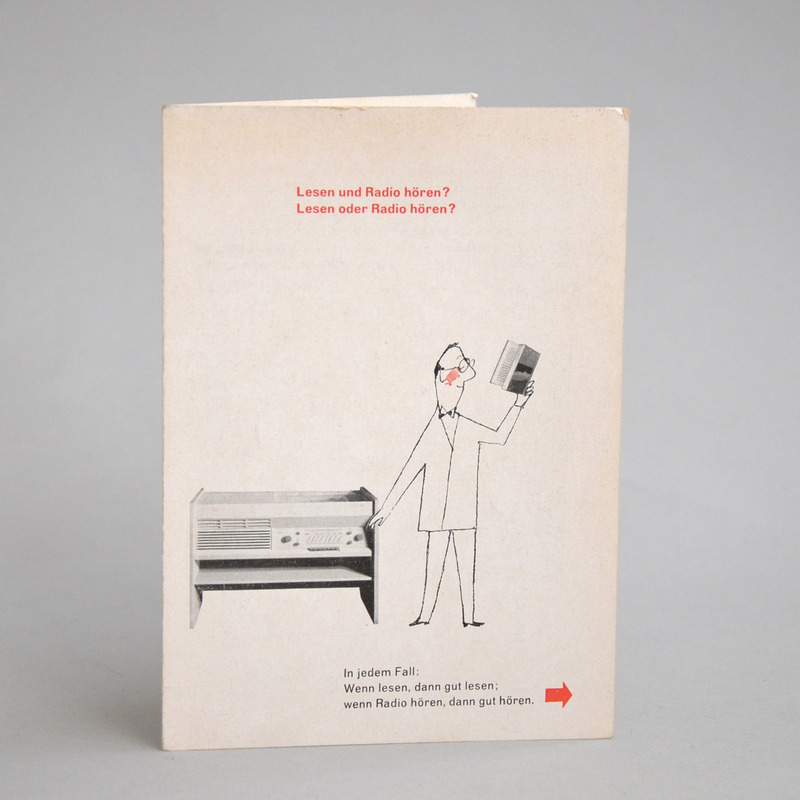 Light hearted early promotional card with unusually explicit reference to the cultural merits of Braun Design. Claims of this kind were later made by reference to design awards, with broader cultural achievements implied but unstated. 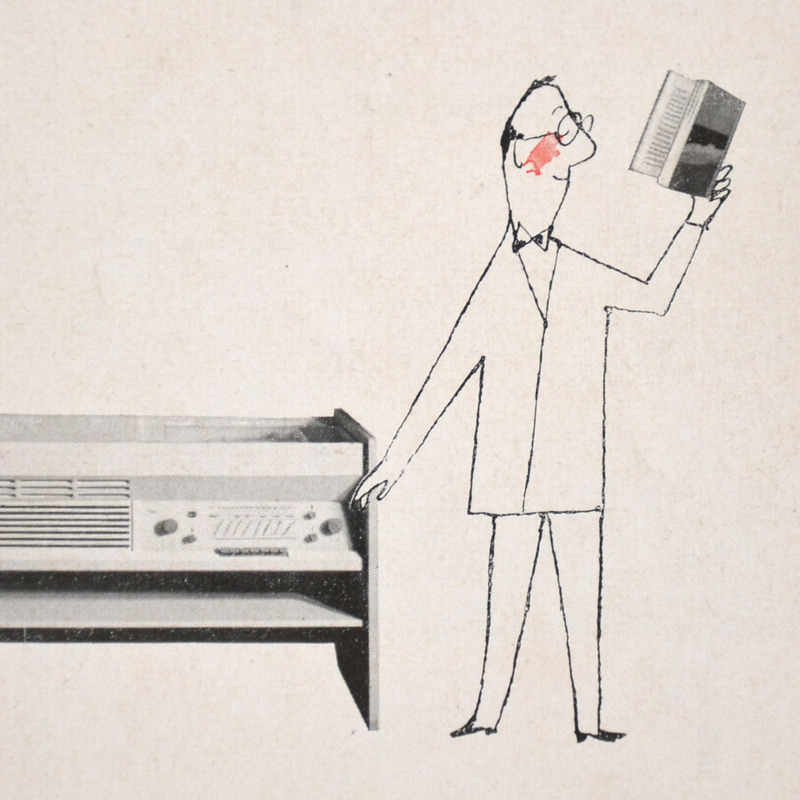 Whether it is better to read whilst listening to the radio is left undetermined. More important is that both are done well. 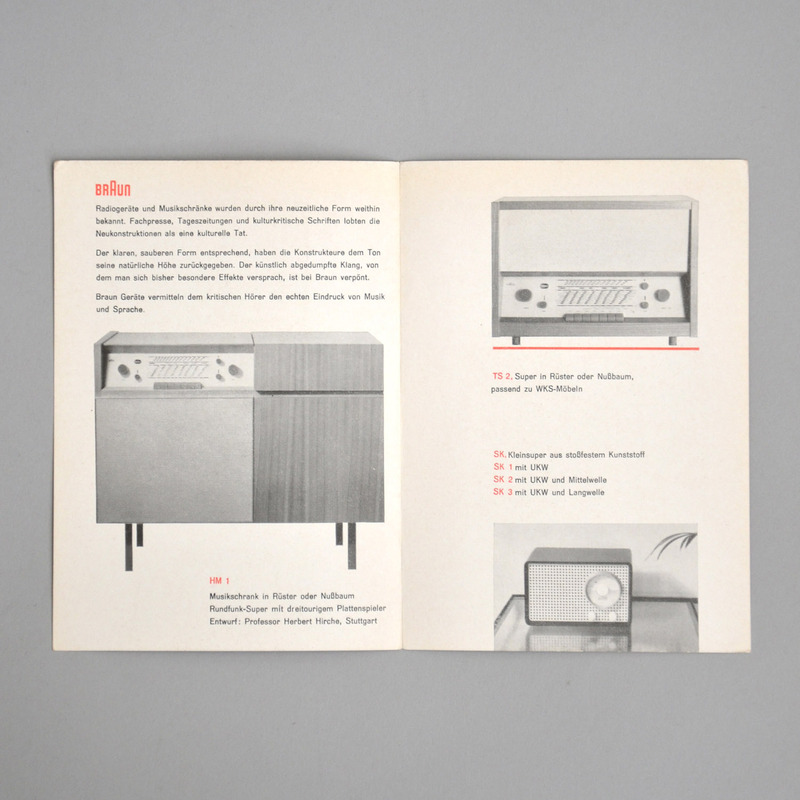 The inner pages describe the design and technical achievements of the new audio equipment of 1955, with images and frequencies of the TS 2, SK 1/ 2/ 3.